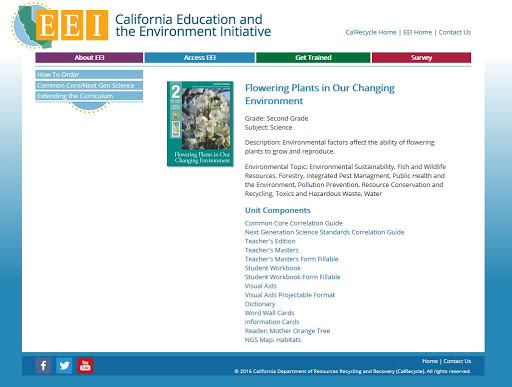 If you haven’t visited the California EEI website recently, now would be a great time to do so! Over the past year we’ve been busy re-designing and upgrading our website to improve the overall user experience. We believe this has resulted in a clean, crisp, and modern feel that makes it easier to read and use and better showcases the EEI curriculum and our training services. 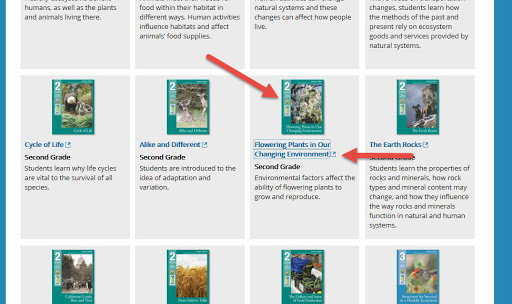 The Access EEI page, which houses our 85 science and history-social science units, has been redesigned so that you don’t have to scroll as far to find your desired unit. 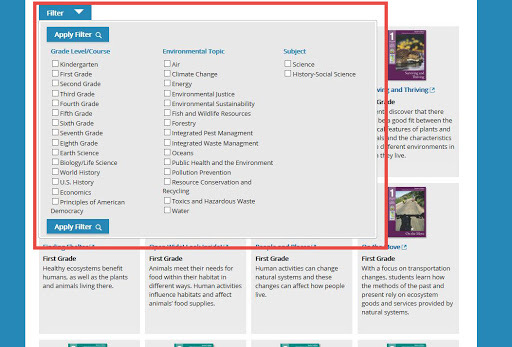 In addition, the new simplified filter option allows you to find units based on grade level/course, environmental topic, or subject area. Now you can click on a specific EEI unit and be directed to a dedicated page for that unit. 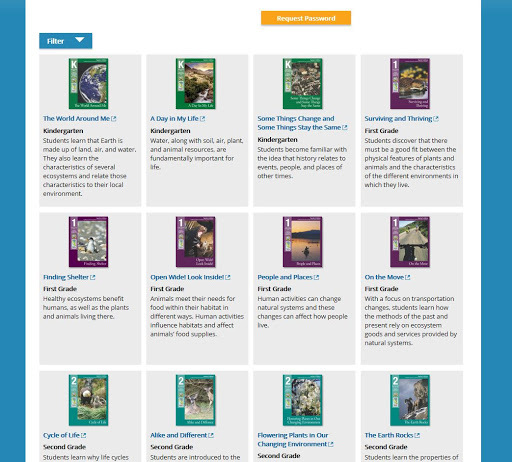 These unit pages provide a detailed description of the unit, associated environmental topics, and links to all unit components in PDF format. Best of all you can now use your browser’s bookmark tool to save your favorite units for quick and easy access. Also it will make it easier for you to share your favorite units with colleagues and friends. Simply copy/paste the url for the specific unit into the body of an email or a social media post and click send! A Frequently Asked Questions page. An expanded Next Generation Science Standards page with a questions/answers section. An expanded On-Demand Webinar page with subsections for each grade band and embedded videos you can watch directly in your browser. Thank you for your web visits and your continual support of the EEI Curriculum! Let us know what you think of these changes in the comment section below or send an email to eei@calrecycle.ca.gov.